The Law Office of Troy J. Mattes, P.C. 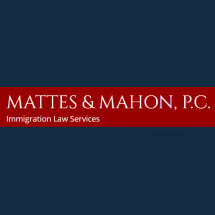 is an experienced full service immigration and nationality firm representing clients throughout central/eastern Pennsylvania. It is a well-established local firm with the requisite expertise and staffing to meet diverse client's needs and is known for competitive fees and personalized service. The firm has over 10 years experience, fluent Spanish, French, Russian and German language skills and the availability/accessibility of full translation and interpreter capabilities.